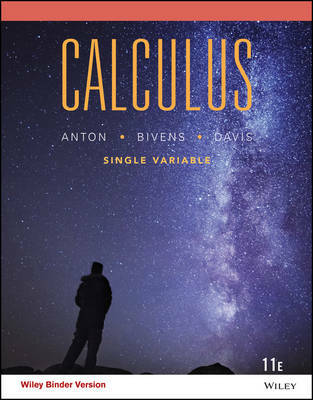 Calculus: Late Transcendental, 11th Edition Binder Ready Version strives to increase student comprehension and conceptual understanding through a balance between rigor and clarity of explanations; sound mathematics; and excellent exercises, applications, and examples. Anton pedagogically approaches Calculus through the Rule of Four, presenting concepts from the verbal, algebraic, visual, and numerical points of view. This is an unbound, binder-ready edition. Access to WileyPLUS sold separately.